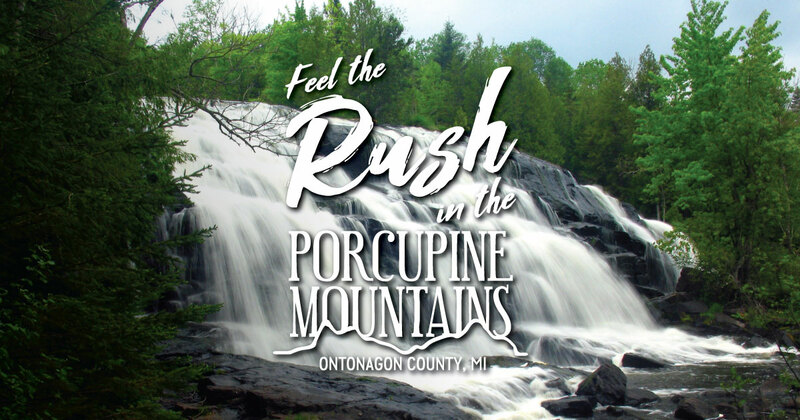 From the dazzling, clear waters of Lake Superior to the backwoods serenity of the Ontonagon River, the waterways of the Porcupine Mountains offer pristine, peaceful adventures for canoers, kayakers and boaters. Lake Superior is a popular destination for boaters, thanks to its crystal-clear water and awe-inspiring scenery. Charter fishing is also available. Boat launches can be found at the Union Bay campsite in the Porcupine Mountains Wilderness State Park, at the Big Iron riverhead in Silver City and at the Ontonagon Marina. While the rivers in the Porcupine Mountains Wilderness State Park are too shallow for canoes and kayaks, there are several other waterways available to canoers and kayakers, including the Ontonagon River and Black River Harbor. Canoes and kayaks are available for rent at Porcupine Mountain Outpost in the Porcupine Mountains Wilderness State Park. Canoe and kayak access to Lake Superior is available on many public lands, including Union Bay, Ontonagon Township Park (which also offers rentals) and the Black River Harbor Recreational Area. Many lodging properties also provide access to Lake Superior.